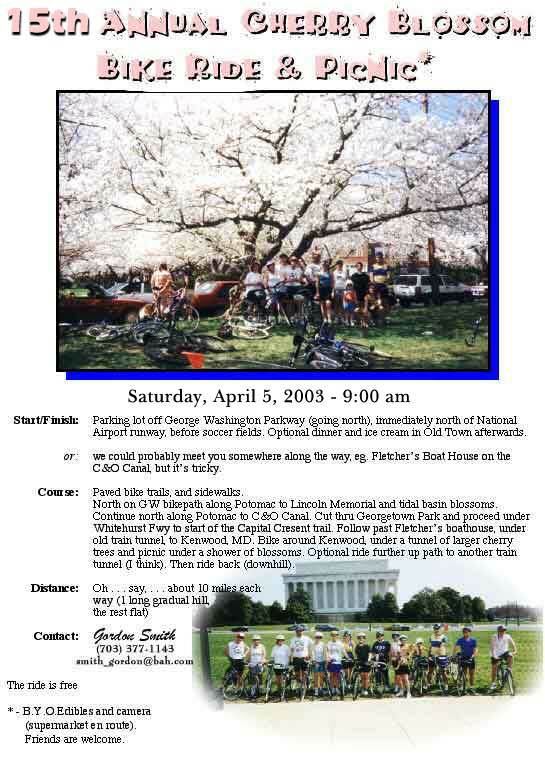 Click here for lots of information about the cherry blossoms and the festival. Click here for some information about the Mt. Vernon bike trail. Click here or here for some information about the Rock Creek bike trail. Click here or here for lots of information about the Capital Cresent Bike Trail.